Make Money Online | What Can You Buy with Cryptocurrency? More Than You Think! Don’t feel like driving? Uber to where you need to go. Just want to stay home, binge Netflix, and eat a Big Mac from McDonalds (no judgement! That example came from experience!)? Uber Eats has you covered. 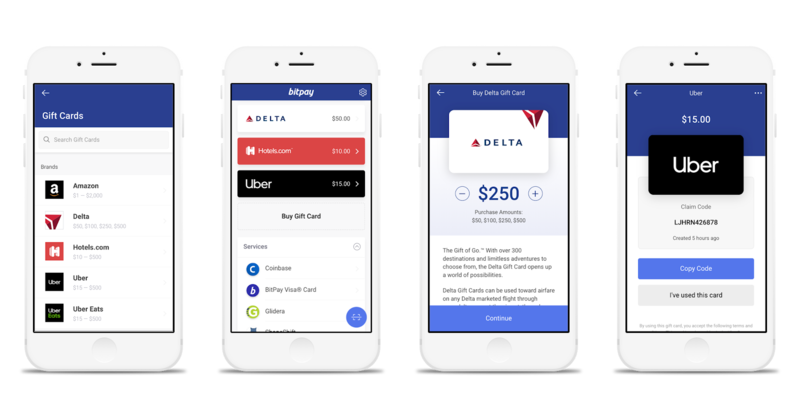 If you're feeling more adventurous, catch a flight with the Delta gift cards from the app. Worried about where to stay once you land? Book a hotel with Hotels.com. Want to buy apps, games, music, books, or movies for your journey? You can load funds for one of the world's most popular app stores. So that’s what you can buy with your cryptocurrency, without even leaving the BitPay app. Cryptocurrency is going place. And with these gift cards, it can take you places… literally.